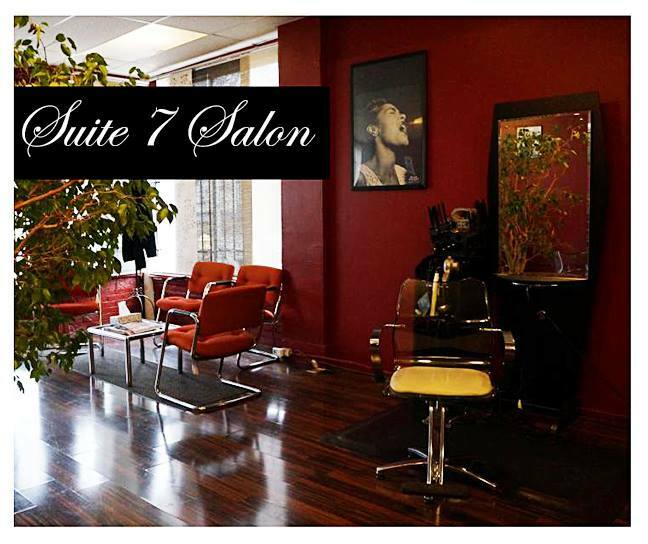 Suite 7 Salon: Cutting edge style with vintage flair! A friendly and competent staff ready, willing and able to help you achieve your hair care and overall beauty goals. Exceeding expectations and consistently delivering quality results. Putting the service back in the service industry. One visit to Suite 7 and you too will become a satin doll!